Here at Westhaven School we raise money for all kind of charitable causes ourselves but this time we need help too. Together with the Friends of Westhaven Parents/Teachers Association we would like to raise money for a new sports hall and changing rooms. 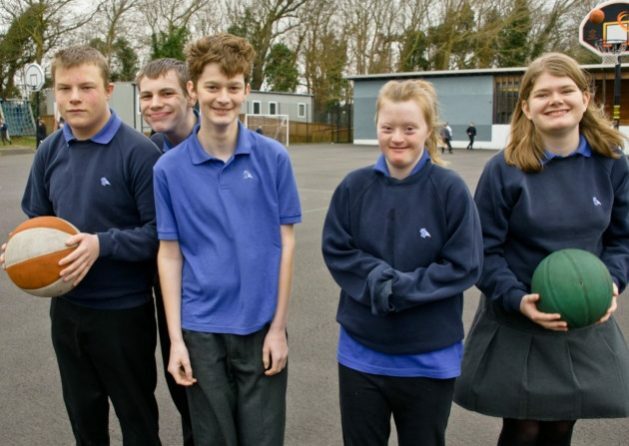 We are catering for 96 pupils with a range of learning difficulties or physical disabilities which mean they cannot use the facilities available in mainstream schools. Over the past 10 years, Westhaven has expanded to include a horticulture department, new play areas, and computers, but unlike other schools, it still lacks a dedicated sports hall, despite catering for pupils of secondary school age. Instead, a single hall is used to accommodate its pupils for PE, assemblies and lunch, too. Our changing rooms are not large enough to accommodate the students who use it each PE lesson. The school already has a number of supporters who will contribute towards the project, as well as pledges from construction firms to carry out some of the work. But additional funds are needed, and PE staff and headteacher Tracy Towler are appealing for people from Weston and the surrounding area to help make the dream a reality. PE teacher Tommy Barlow hopes to secure enough funding to build a dedicated sports hall on the school’s grounds and transform the sporting opportunities on offer. The new hall would have two changing rooms, and could also be used by the wider Uphill community. Donations can be made by clicking the ‘Donate’ button at the top of the page or by cheque / cash directly to the school. They must be made payable to ‘Friends of Westhaven PTA’ and donors must say whether they want their donation to be anonymous and mention the donation is for the sports hall project. Cheques and offers of building support can be sent to Westhaven School, Ellesmere Road, Uphill, Weston-super-Mare, North Somerset, BS23 4UT.